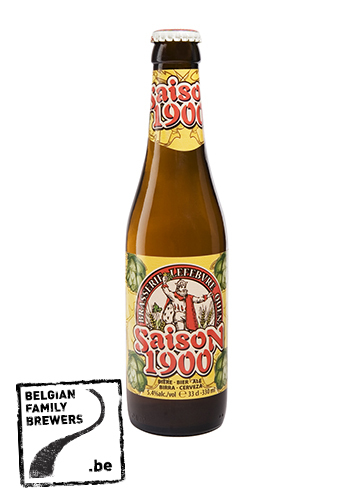 Saison is an old recipe originating from the Hainaut tradition. It was brewed by all breweries at the beginning of the last century. In honour of the founder of the brewery, who produced Saison for the “cayoteux” or local quarrymen, this beer was once again produced in 1982. It is a golden coloured beer with an impressive head. The hop aroma is dominant with hints of flowers, resin and spices. Its density makes it a beer for special occasions and great moments. 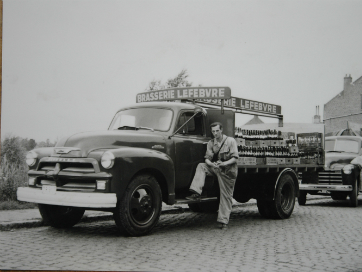 The origin of the Lefebvre brewery goes back to 1876 with Jules Lefebvre. He supplied beverages to the pubs around the big stone extraction of Quenast. In 1921, Auguste Lefebvre, Jules‘ son, moves the brewery to a neighboring hill in order to avoid the annual floods of the Senne. In the following years, Gaston Lefebvre, the third generation, modernized the brewery by starting the bottling of beer.